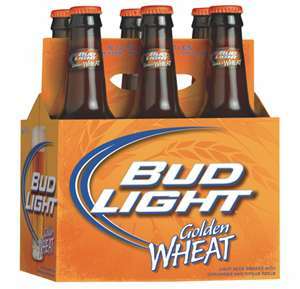 On October 5, 2009 Budweiser officially released Bud Light Golden Wheat, a response to the increase in the amount of wheat beers produced from craft brewers around the country. This beer has 118 calories, 8.3 grams of carbohydrates and 4.1% alcohol by volume. It is an American Hefeweizen which is based on the classic German Hefeweizen style.